In the next post on the series from Onward: Engaging the Culture without Losing the Gospel we look at the legacy of Dr. King, and what is was about the man and his words that is so starkly different from other civil rights leaders then (and now)? 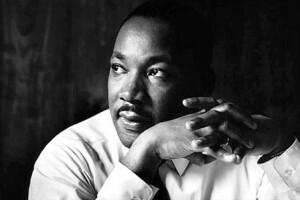 The author makes an argument that he spoke much like Old Testament prophets: “pointing out sin and judgment, warning of the justice of God.” And there certainly were many similarities, whether intentional or not on Dr. King’s part. Did you catch that? He didn’t speak about his opponents, and didn’t seek to divide. He spoke to them, and in ways that would reach them (as opposed to Malcolm X, for instance, whose rhetoric the author characterizes as “[preaching judgment] in harshly nationalistic Islamic terms.” Terms that wouldn’t resonate with nearly the numbers of people Dr. King’s message did. What I pointed out is that it seems the default setting these days seems to be reacting with vitriol and insult when disagreeing with a statement rather than discussing or even considering the other side, let alone even bothering to read what was actually asked or stated. I’ve seen it on both sides of the political aisle with various talking points, rather than discussing the actual details of the issues. …and it makes me yearn for another Dr. King. It really does.